Personalization has rapidly become a major factor in omnichannel customer engagement initiatives, but implementing it requires a transformation that’s heavily reliant on stakeholder commitment, governance, and control. 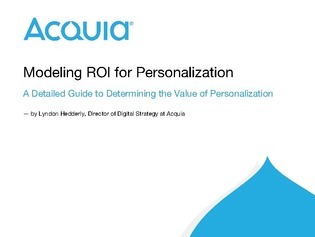 This white paper explores how to make a case for the ROI of personalization. Learn about a personalization value assessment framework that uses 5 key steps to justify the use of personalization for building brand awareness.